Garage: "Garage: 2 Car Detached, RV Parking; Parking Space(s): 6"
Lot Size: 5055.27 sq. ft. 107.91ft x 128.6ft "Corner, Irregular"
Looking for a quiet get-away?? 2 Lakewood Road at Pelican Shores, Round Lake is tucked into rolling hills of the Qu'Appelle Valley. Loads of curb appeal surrounds this property with a corner Lot that is well treed providing lots of privacy and shelter from the elements of our forever changing seasons. You will enjoy the convenience of the double detached garage, fully insulated and heated, triple car driveway and stone walk way to the house. The backyard features a 2 level deck with eating area, bbq and garden, again, well treed for your enjoyment. The home is" country-perfect style" with a front veranda for relaxation and viewing pleasure; half log siding complimented with stack stone pillars and foundation. It is 816 sq ft and one may think it is "too small" but the floor plan here offers open concept areas with hardwood flooring and wood ceiling, open wood burning fire stove, dining area, conversational kitchen area with lots of cabinetry and counter top space. A smaller office room on the main floor for your convenience which can serve a multitude of purposes; stunning 4 piece bathroom with corner soaker tub with pocket door to the master bedroom. Master bedroom is spacious with crown molding with accent lighting. Basement is fully finished with rec room and stack stone featured wall trim, 3 pc bath (shower) and extra bedroom. Don't overlook this stunning property. It may be just what you are looking for. Reward yourself with the peaceful and relaxing atmosphere this property provides. 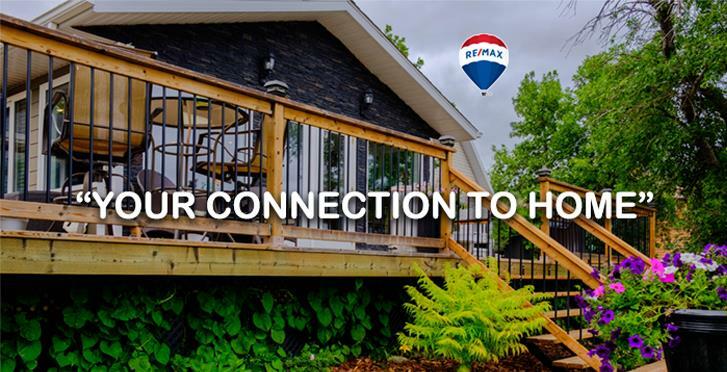 Call your listing agent for more details and to arrange your personal viewing today and make " YOUR CONNECTION TO HOME"